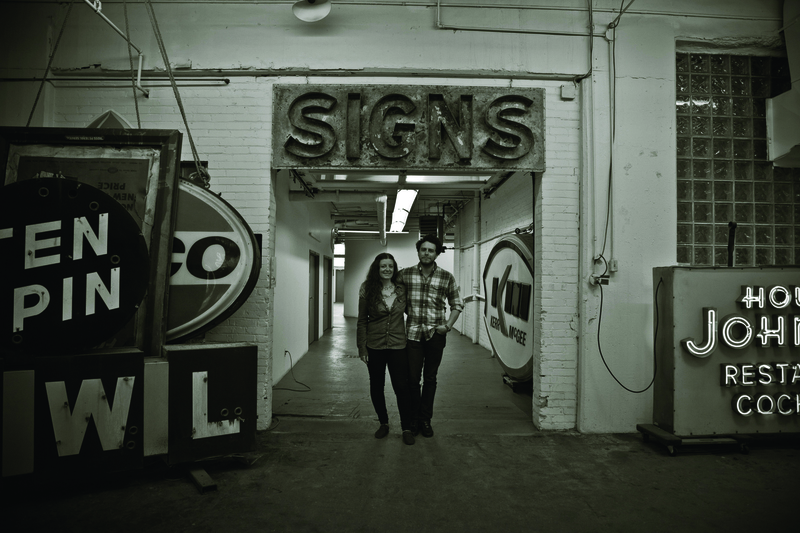 In 2009, we brought Faythe Levine to Vancouver for Western Canada’s premiere of Handmade Nation and we are thrilled to bring her back, along with filmmaker and co-director Sam Macon to screen their new documentary, The Sign Painter Movie! Faythe Levine and Sam Macon began documenting these dedicated practitioners, their time-honoured methods, and their appreciation for quality and craftsmanship back in 2010. Sign Painters, the first anecdotal history of the craft, features the stories of more than two dozen sign painters working in cities throughout the United States. Did you catch our interview with Faythe Levine and Sam Macon in the new Got Craft? 2013 spring look book? Check out pages 36+37 here! A companion book, Sign Painters, features 24 artists, their work, their process, and discussions of how they got started in this field as well as a foreword by legendary artist (and former sign painter) Ed Ruscha.